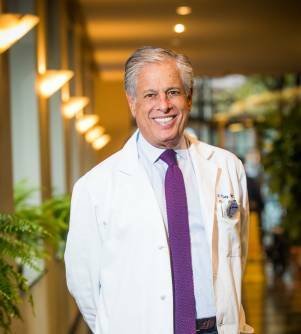 Board Certified in 1976, Dr. Richard Katz is an Assistant Clinical Professor of Radiology at Cornell University Medical College. Prior to assuming that position, he completed a clinical fellowship in CT and Ultrasound at The New York Hospital where he has served as an Assistant Attending Radiologist since 1980. He is a Clinical Assistant Professor of Radiology at Weill Cornell Medical College, Cornell University. Dr. Katz held an appointment for more than a decade as an Assistant Roentgenologist at Memorial Sloan-Kettering Cancer Center. He has written and co-authored articles on MRI, CT and Ultrasound imaging. In addition, he has presented papers at meetings of the Radiological Society of North America and the American College of Radiology. Dr. Richard Katz received his M.D. from the University of Oklahoma. He completed his medical internship at North Shore Hospital / Memorial Sloan-Kettering Cancer Center prior to entering his residency in Diagnostic Radiology at The New York Hospital-Cornell Medical Center, where he was Chief Resident in Radiology.